Many would agree that the beauty of a business card is its tangibility. In a world that is fast moving towards digital interactions, the tactile experience of paper is becoming treasured, and it’s not an overstatement to say that the ultimate sensory indulgence is 3D Emboss business cards. The innovative and complex process of 3D embossing is a lavish addition to the already unique art of embossing, imparting a stunning relief effect to specific elements of your design to extraordinary heights rarely seen in traditional embossing, all while preserving incredibly fine detail. 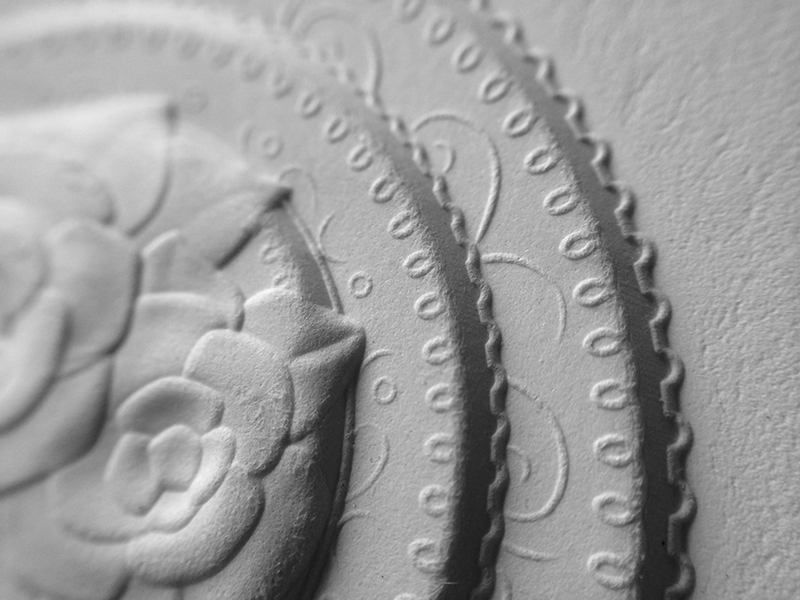 The intricate opulence of 3D embossing can be produced only on the best cotton papers from around the world. Fine cotton paper withstands the intense pressure used to raise the surface of the paper and create a beautiful three-dimensional effect, yet still shows a delicate texture. The excitement needn’t stop at the 3D embossing, as this process can be used in combination with other printing methods like letterpress and foiling. Nothing beats the timeless elegance of letterpress paired with the luxury of 3D embossing! At Jukebox we take pride in our craftmanship, and 3D embossing is our most prized example of fine handcrafting. Each card is individually produced and painstakingly inspected upon completion of printing to ensure quality down to the smallest detail. This incredibly soft “pillow” effect can be achieved only with 3D embossing and fine cotton paper. Both unique and distinguished, this elegant feature is perfect for those who want to stand out and leave a memorable impression when they hand out their business card. Not exclusive to just business cards, a 3D Emboss finish can be applied to many projects that require a sophisticated touch, such as wedding invitations, personal stationery, and even wine labels. As this is a highly specialised product, it is available only through our luxury custom quotes service. Contact our luxury print specialist today for a one-on-one consultation about producing your next 3D Emboss project. Regular Embossing offers one level of impression; with 3D Embossing the indent can be sculpted and gradated, with different levels and shapes. 3D Embossing has a higher cost than our regular Embossing service. 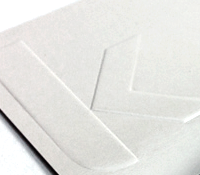 Production for 3D Embossed business cards starts at $1500 for a minimum quantity. Design work for a 3d Embossed project starts at $1000. See: What is the difference between Embossing and 3D Embossing?, Design considerations for Embossing. 3D Embossing is a specialty embossing exclusive to Jukebox Print - this is our most premium print option so there is a higher cost associated with this product. 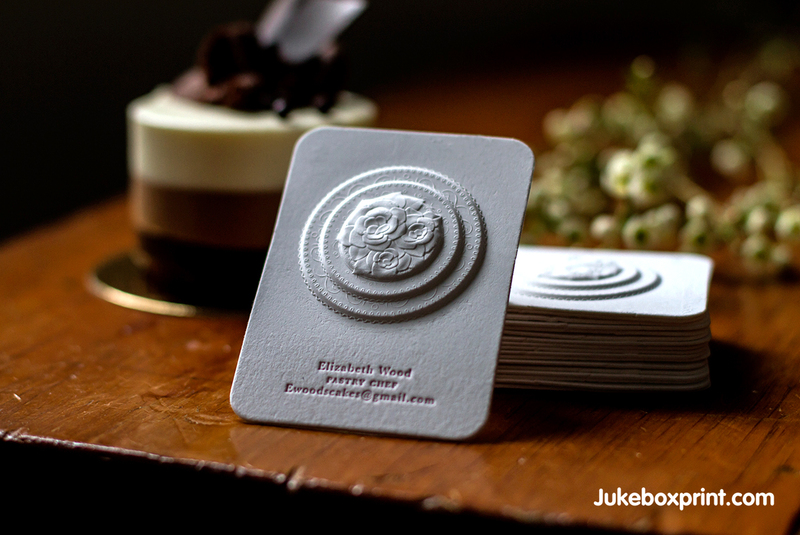 If you have a completed design, you can request a Custom Quote to receive accurate pricing for your 3D embossed business cards. Please note, your design will need to be approved for this service before proceeding. Our Estimations team will get back to you with further information. As 3D Embossing is our most premium print process, it has a significantly higher price than standard embossing. 3D embossed business cards have a starting price of $1,500 for a minimum quantity of 500. *This is a reference image only and does not represent the actual vector file type required. To get started with your own 3D Embossed project, please first read over the Design Considerations for 3D Emboss. Necessary files and information can be submitted as a Print Quote request. 3D Embossing requires special files and may not be a suitable option for all designs. The embossed areas must be at least 0.25 inches away from the trim lines on all sides. A 3D embossed design cannot bleed to the edge and must stay within this safety margin. The reverse impression of the emboss will show on the back of the cards. You cannot have a 2-ply created in combination with 3D embossing, and cannot have any printing on the back side of the card with the 3D emboss process. If you would like us to review your design and concept for the 3D emboss before ordering, please contact one of our Estimators via a Print Quote request. When you supply files for 3D embossing, you will also need to include a text file (exported as a PDF file) describing the areas of the emboss you would like, and the 3D effect. 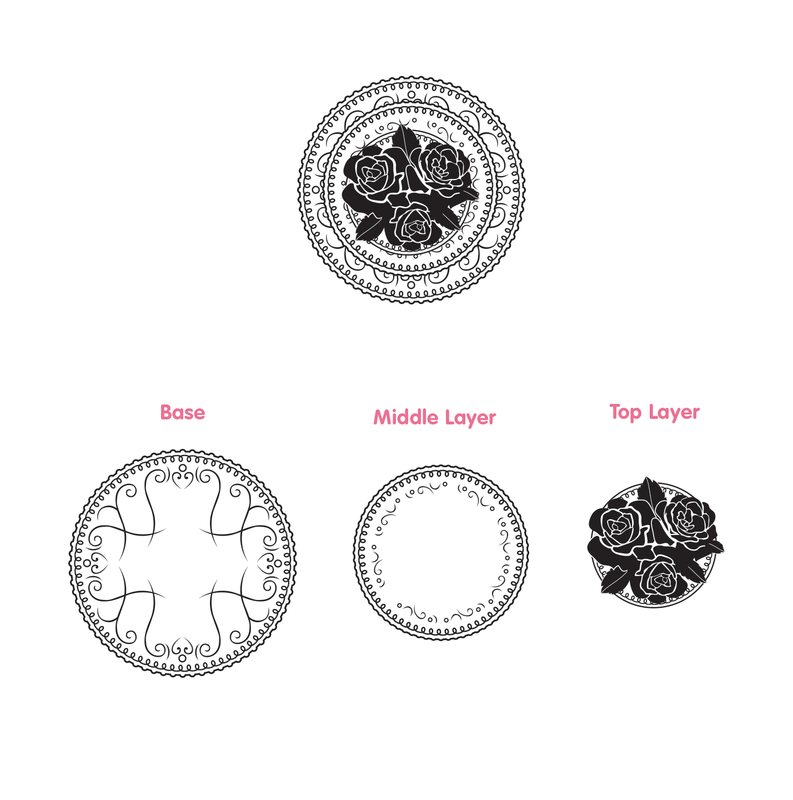 You will receive a 3D proof for the emboss plate. As the 3D elements of the emboss are created by our Designers and Animators, there is some room for artistic impression of your request. The more information and details you can provide us in your description, the better we can serve your needs. Due to limitations of the stock and process some designs or elements may not be possible with 3D emboss. You will be sent an online 3D proof of the emboss plate – there is allowance for 1-2 revisions before production commences. Any additional revisions required will incur an additional cost. 3D embossing is only possible as blind embossing. See: Blind Embossing. 3D Embossing can be combined with Letterpress printing (when not registered). The height of the emboss can be up to 0.2 inches high. There must be a gradual incline to this height (or the paper will tear). Our team will provide advice on this before your card goes into production. There will also be restrictions to the type of paper stock that can be used with 3D embossing as thicker, softer stock is necessary - ask your Estimator for more details. Press-ready files for 3D embossing must contain vector graphics only. See: What is a vector. 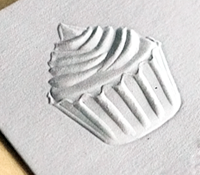 3D embossing is not for customers who need cards in a rush or by a deadline. There are many factors that can delay the production of these cards – so please keep this in mind. If you are interested in having our Design Department create your design files for you, please note that the cost of design for a 3D embossed project will start at $1000. This is due to the complexity of the setup, which will include 2-3 initial design concepts and two rounds of revisions to the selected design. You can submit a Design Service request to receive pricing from our designers.